Two of our brewing members recently consolidated through an acquisition. These types of business transactions are a normal part of a healthy and growing industry. Fans should be thrilled that both breweries continue to be owned by local, independent interests with a proven commitment to craft beer. Moving forward, we are confident that both brands will continue their unique styles and flavors that their fans have come to love. Full job description and application instructions: Current Openings The Alabama Brewers Guild is seeking the ideal candidate to become our new Executive Director. 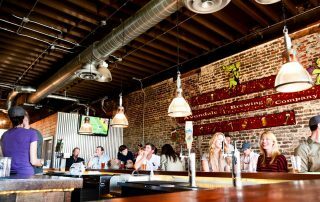 This is a full-time, professional position that works with the Board of Directors to promote a favorable legal and market environment for the craft brewing industry in Alabama. Application deadline is September 30.